The SJSF is considered the largest surf music event on this planet. 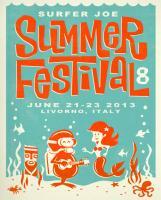 Every year, since 2003, it puts together surf bands from everywhere for a weekend of pure surf music and fun. 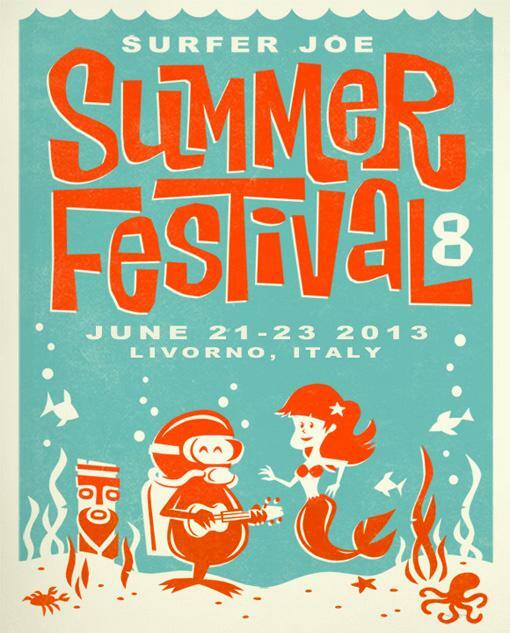 In the past few years the festival has been in Livorno, Italy, and just from 2012 it has been organized at the Surfer Joe’s Diner. Write them down already in your calendar. It will be bigger & bigger and it will become a real "city event" for Livorno. So - come on - Livorno Surf City Italy! This is for real: the legendary Atlantics from Australia will finally come to Europe for a 2 weeks tour between June and July. They got their success back in 1963 with an instrumental hit called BOMBORA, joining the rudiments of the Californian surf sound and the European influences of the Shadows. The band has always been active and producing music giving us throughout the years really incredible tunes! The guitarist Martin Cilia joined them in the 90s and since then the band has come back again strongly in the scene. We cannot wait to have them! The tour is exclusively managed in Europe by Surfer Joe Music. HERE COMES THE INSECT SURFERS TORNADO!